12 More String Quilt Projects; Strips, Strings & Scrappy Things! 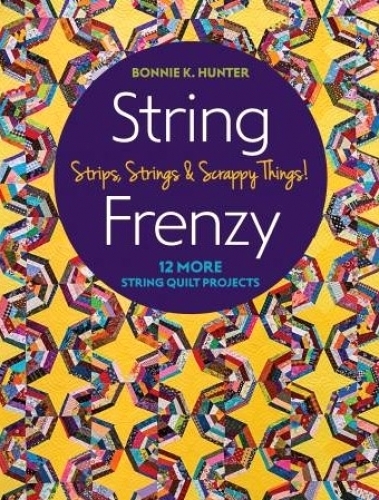 Bonnie K. Hunter fans will love her newest book of playful string-quilt projects! Sew a dozen vibrant quilt patterns using the small leftovers from other projects for one-of-a-kind quilts. 96 pages.